Grieving Debra Parsons will have her mum Doreen for Christmas dinner this year – by scattering her ashes on the turkey then tucking in. And for dessert she’ll enjoy Christmas Pud...with a dusting of her mum’s last remains too. spoonful most days to feel “as close as possible” to her. But as she faces Christmas without her, the craving has become even stronger. 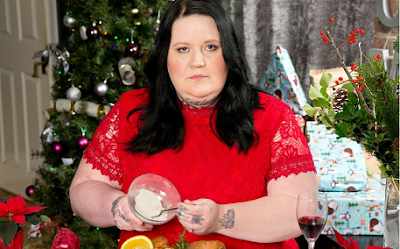 “It is the only thing that will get me through my first Christmas without mum,” said Debra. » Mom & Daughter OR Mom & Son??? » AKPORS CAME LATE TO SCH00L... Why did come late?